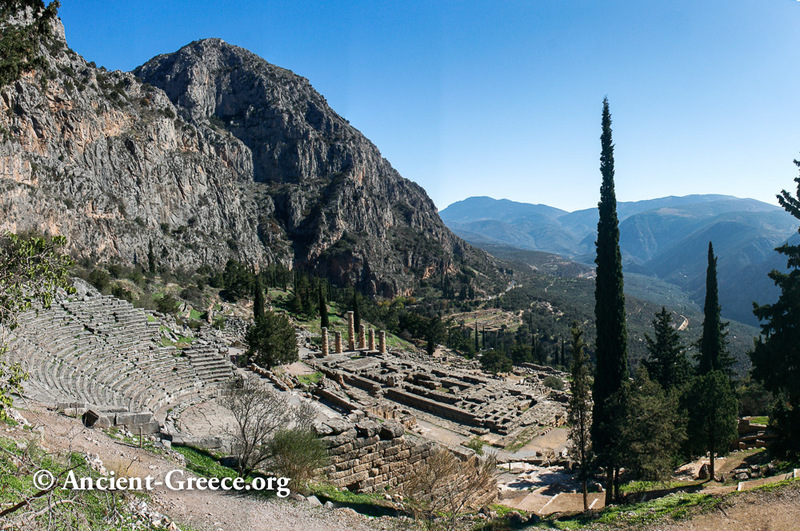 Delphi Theatre with the temple of Apollo in the background. 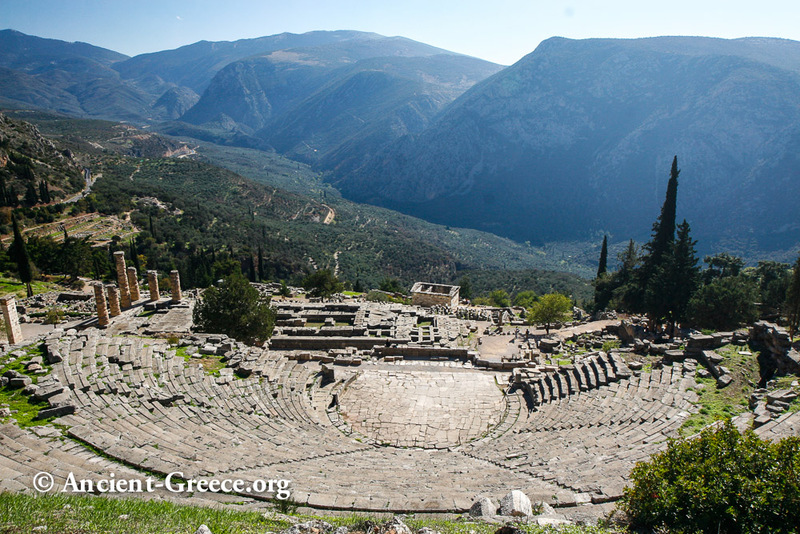 The theater at Delphi is build further up the hill from the Temple of Apollo and it presented the seated audience with a spectacular view of the entire sanctuary below and the valley beyond. It was built in the 4th c. B.C. our of local Parnassus limestone and was remodeled several times subsequently. 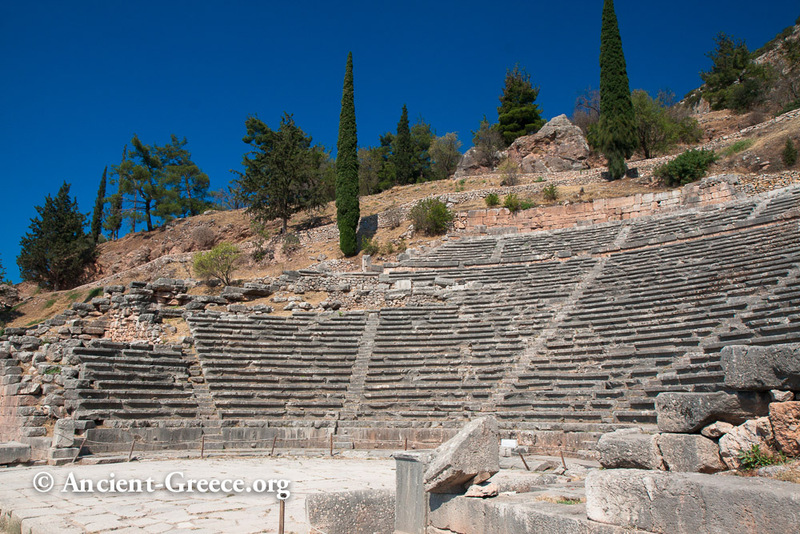 Its 35 rows can accommodate around five thousand spectators who in ancient times enjoyed plays, poetry readings, and musical events during the various festivals that took place periodically at Delphi. The lower tiers of seats were built during the Hellenistic and Roman periods.